After the adoptive father she loved so much died, Alison learned her birth father, Tim, was looking for her and she took it as a good sign of things to come. Sadly she found herself disappointed in him, and later in her birth mother, Jean, whom he contacted without telling her. Alison had no idea her birthmother struggled with mental illness, so their contentious relationship was inexplicably challenging. 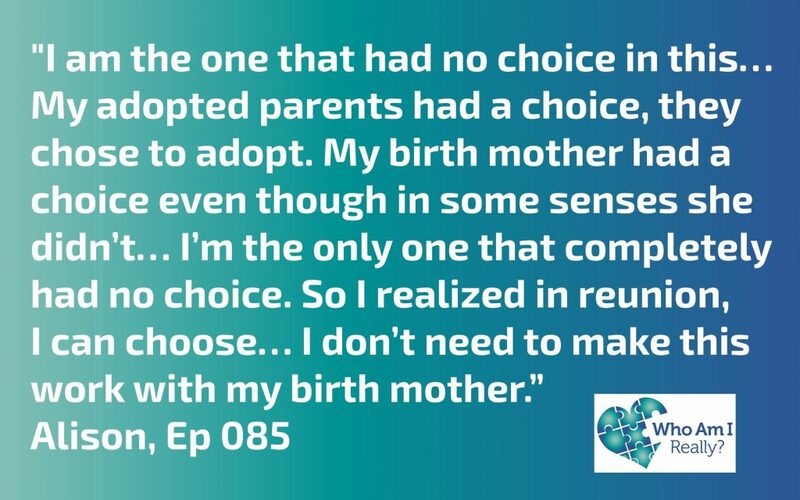 After Alison took legal action to gain access to her adoption records from the agency that refused to turn over her information, she finally laid eyes on the detailed context of her past that meant so much to her, and only her.